Europe had a record number of measles cases last year, in part due to a growing number of pockets where parents are refusing vaccination for their children, the World Health Organization has said. At the same time, the WHO said, record numbers of children are getting the vaccine, offering hope that the rise in infections may not last. Vaccination coverage needs to be around 95% to prevent the virus circulating in communities - so-called "herd immunity". In the WHO's European region, which covers nearly 900 million people, some 82,600 in 47 countries contracted measles last year, which was the highest number this decade. Of those, 72 cases were fatal. Six of the 53 countries did not report. In 34 of the countries, estimated coverage with a second dose of measles vaccine was below 95%. 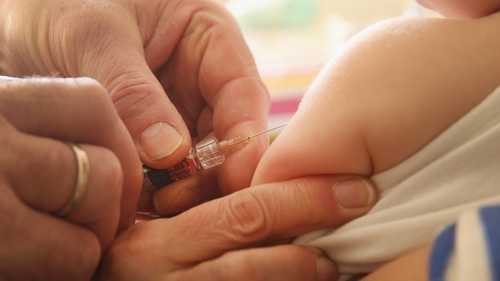 "(Immunisation) gaps at local level still offer an open door to the virus," the WHO's European director, Zsuzsanna Jakab, said in a statement. A report published by the European Commission last year and compiled by a team led by Ms Larson found that measles immunisation coverage has fallen in 12 EU countries since 2010, and that seven out of the ten countries with the lowest vaccine confidence in the world are in Europe.